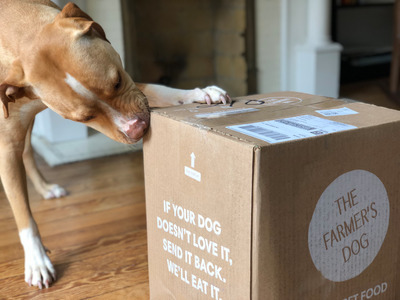 Melia Robinson/Business InsiderMy dog Nubs tears into a shipment from his new pet-food supplier, The Farmer’s Dog. Tech investors are throwing money at the Brooklyn startup, which has raised a total of $US11 million from Shasta Ventures, SV Angel, and others. They believe it’s the future of dog food. After feeding my dog The Farmer’s Dog food for almost two months, I can see why. My dog Nubs loves it. I wouldn’t call my dog Nubs a picky eater. He eats the gross stuff we pick from his eyes, pens, cardboard, mulch, and any morsel of human food that falls off the table. He is, after all, a growing boy. But Nubs doesn’t like kibble. When I call him for breakfast, he sniffs around his bowl, filled with brown balls of pulverized beef and grains, and leaves it untouched. For a while, I resorted to sprinkling cheese on his kibble just so he would eat it before we head out the door. But I knew spoiling Nubs wasn’t the solution. Customers fill out a questionnaire that takes into account their pet’s health and size, and order as many meals as they need for the week. The food is sourced and produced to human-grade standards, using USDA and FDA-inspected ingredients that the company says is prepared in facilities with safety standards usually reserved for human food. It ships in pre-portioned baggies according to the dog’s nutritional needs. Tech investors are throwing money at the Brooklyn startup, which has raised a total of $US11 million from Shasta Ventures, SV Angel, and others. They’re betting that millions of dog-mums and dog-dads want better for their pups, and they’re willing to shell out for it. 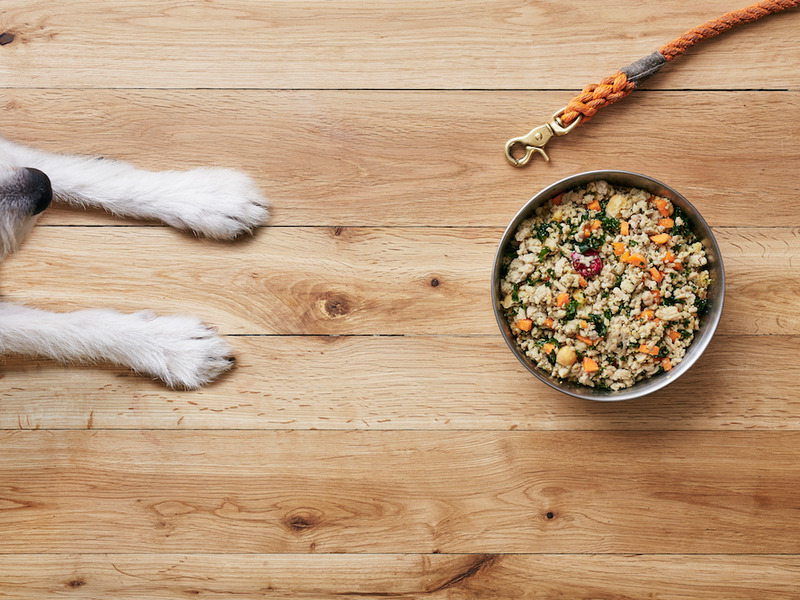 “We’ve never doubted that this is the way that pet food is going to be in the future,” said Jonathan Regev, cofounder of The Farmer’s Dog. The Farmer’s DogThe Farmer’s Dog customers can see whole ingredients like parsnips, chickpeas, broccoli, spinach, and carrots in every bag. Regev and his cofounder, Brett Podolsky, got their start after Podolsky’s dog, Jada, needed home-cooked food to stay healthy. They started taking orders from friends and rented a commercial kitchen in New York to prepare bigger and bigger batches. As it turns out, dogs are the perfect subscription customers. They eat like clockwork and aren’t concerned with how the food looks, though “it happens to look good, which is sort of a great coincidence for us,” Regev said. Customers can see whole ingredients like parsnips, chickpeas, broccoli, spinach, and carrots in every bag. I asked Regev how much dog food he’s personally eaten during product testing. “More than I want to admit in public,” he said. The premium dog food market is starting to crowd with companies like PetPlate, Ollie, and the newly launched YaDoggie – a dog food delivery service that asks customers to prepare their dogs’ meals in an Instant Pot – that claim to provide higher quality dog chow. And traditional pet care companies are worried. Just this week, the world’s largest pet food manufacturer launched the first startup accelerator and venture fund focused on the future of pet care. Nearly $US240 million in venture capital flowed into the pet-related startup sector in the US in 2017, more than double from the previous year of $US104 million, according to PitchBook. Regev said he isn’t worried about the growing competition, because it only serves their mission of having more and more dogs eat well. 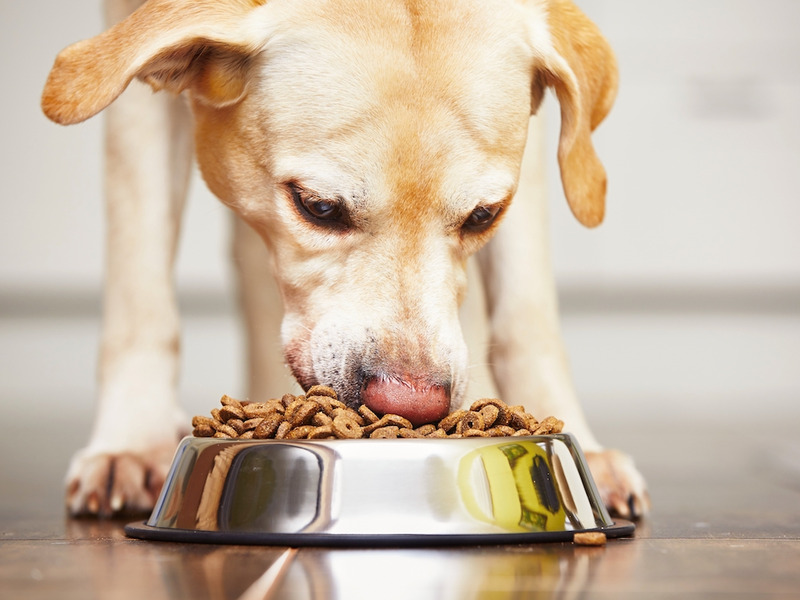 “Our end goal is that most of the pet food companies are making food like ours,” Regev said. Call me a sucker, but I’m not alone. The company claims to have delivered over one million meals since it launched in 2015. It’s worth mentioning: I really, really didn’t want Nubs to like The Farmer’s Dog. Mainly because it costs a fortune. The standard meal delivery for Nubs, a one-year-old pit bull mix, contains 14 days of food and comes out to $US128, or $US64 per week. That’s almost as much as my household grocery bill. I couldn’t bear to spend that much. So, I talked with customer service and created a custom plan: I order 14 days of food once a month, instead of every two weeks, which averages $US32 per week. I supplement his meal with two scoops of kibble, which he eats so long as it touches the good stuff. Now Nubs loves what I feed him – at a more reasonable cost. Regev said it bothers him when people look at The Farmer’s Dog’s product and say, “Oh, it looks fancy.” The food has recognisable ingredients, sure, but it’s not intended to be a premium product. “Our beef recipe is called ‘beef recipe,'” Regev said.